At Rene Diaz Photography, we’re more than wedding photographers in Binghamton NY. We’re storytellers. We want to tell your story through our photography that capture every moment of your wedding day. 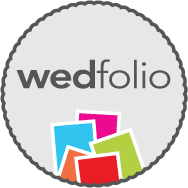 We’re a husband-and-wife team offering portrait and wedding photography. From candid and lifestyle wedding images to professional headshots, we can make every moment a memory. Your wedding day is one of the most important days of your life. You can trust us to capture every minute so you can treasure then for the rest off your life. To learn more about our wedding and portrait photography, contact us today. So what are you waiting for? Call Rene Diaz your Binghamton wedding photographer now. We get to know the bride and groom: It’s our priority to understand exactly what you’re looking for in your wedding photos, so we get to know you personally. We capture every moment: From the bride getting ready to the dancing at the reception, you can trust us to get photos of all the festivities. We offer complementary engagement sessions: Each wedding photography package comes with a free engagement photo session. If you want wedding photos you’ll treasure forever, get in touch with Rene Diaz Photography today. As a professional photographer I constantly remind myself that I must separate myself from other photographers. A photographer must be creative enough to make the ordinary look great and capture the essence of the moment. Event photography consist of many occasions such as birthday parties, bar mitzvahs, step and repeat, fund raising events and much more. We’re proud to say that we specialize in capturing these special moments in event photography. Working as an event photographer allows me to use my creative skills freely to document the details of special events such as business fund raisers, business parties, and event speeches, while at the same time highlighting details of these events such as decorations on tables, special food stations and event decor. Corporate photography is unique because corporations hire event photographers to capture events such as parties, corporate conferences, dinners, and company events. Since every company has its own Branding, as a corporate photography I am able to bring out the company branding while still maintaining a personal touch to the business. I have been shooting wedding photography since 1997 and, to this day enjoy every aspect of photographing a wedding. Capturing the couples love for one another, the details of the wedding and the unscripted moments makes for a lifetime of memories for the bride and groom. As a portrait photographer, I believe getting to know what a client is looking is important. Capturing their likeness during the photo session, which may involve the use of equipment such as lighting, backdrops and a makeup artist, serves to accomplish the desire look. Storytelling or wedding trailers is our way of capturing those special moments in a wedding. Our wedding videographer tells the story from the wedding preparations, to the ceremony to the last dance. We fuse both video and stills of the event set to music, which creates our signature wedding trailer. Our photography services provide the highest quality professional imagery. Our wide of services include business and corporate photography, portrait headshots, weddings, special celebrations and more, and we’re centrally located in the triple cities, Binghamton, NY area. As an engagement photographer, I believe that getting to know the couple prior to their wedding only makes things easier on the wedding day. Because we have gotten to know each other before the wedding the bride and groom are more relax in front of the lens and more focused on each other. This is why we offer free engagement photography for every wedding package. We offer three photography packages for our wedding couples. In addition, we have a-la-carte options from which a couple can add additional items such as wedding trailers, fusion-video, special leather bound albums and much more.